A creative, entertaining approach to resurrecting the undead church. There is something missing in the church today. Stuck in a rut of routines and rituals, the church is caught up in doing what it is “supposed to do” but is lacking the true essence of what it is supposed to provide: life. Real faith--and a real relationship with Jesus--is not about playing by the rules, attending services, and praying before meals. Real faith is more than religion. Believing there is a way to breathe life back into the church, Tyler Edwards adopts a contemporary and entertaining metaphor--zombies--to highlight and challenge the problematic attitude of today’s believers. Written for the discouraged, disenfranchised, and anyone unsatisfied with their same-old church routine, Zombie Church challenges readers to turn away from hollow religious practices, which characterize “zombie Christianity,” and turn toward a radical relationship with Jesus. While other books have addressed legalism in the church, this is the only book that effectively capitalizes on a popular entertainment genre in order to diagnose and correct the problem. Realizing that even his own church is part of that problem, Edwards has written an accessible and often humorous book that will help believers change the Spirit-draining (or life-draining) habits that stop them from achieving a full, fulfilling life in Christ. Order a copy here. When I saw the title of this book, I had to read it. I knew by the name what the author was trying to convey, but I was still wondering if it could be related in a way that would be well received. The answer is... yes. And what better way to get the attention of the younger generation than to use zombies as a sort of 'parable' or 'allegory'. It works. I think this is a great book to describe what is happening in the church today. Many of us are concerned, with good reason. Tyler Edwards says of these zombie churches: "These are churches where God might be taught, but He is not attending." Such truth... I can't even count the times I've heard people say that the church is 'dead'. It is truly an epidemic. Zombie Church not only points out the condition of the church, but offers insight into "awakening the undead." It will challenge you and inspire you. Be encouraged... we can still make a difference. It's not too late for the church to come alive in Christ! There are so many things I'd love to share from this book, but it's best to pick it up and read it for yourself. It's worth it. See what others are saying... follow the Blog Tour here. Tyler Edwards is the lead pastor at Cornerstone Christian Church in Joplin , Missouri , where he works to help people learn how to live like Jesus, love like Jesus, and look like Jesus—so they carry out the mission of Jesus to the world. He graduated from Ozark Christian College with bachelor’s degrees in both Biblical Literature and Christian Ministry . He has written articles for Lookout Magazine, spoken at various campus ministry events in Missouri , and served overseas in Mbale , Uganda . Tyler loves cheesy horror films. He is particularly fond of movies like Dawn of the Dead, The Signal, and 28 Days Later, where zombies run wild and threaten to infect an entire town. 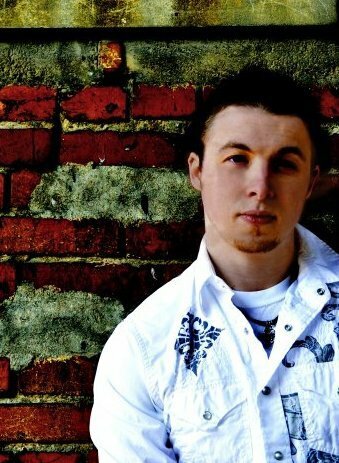 Connect with Tyler on Facebook. The publisher is sponsoring a $50 Amazon.com giveaway open to all readers! 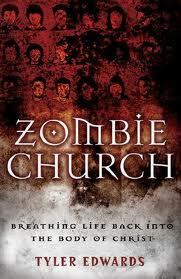 To enter all you have to do is send a tweet (using @litfuse) about Zombie Church or share about it on Facebook! FACEBOOK THIS: Don’t miss Edwards - a fair-minded and tenderhearted critique of the church. http://litfusegroup.com/blogtours/text/13424384 Written for the discouraged, disenfranchised, and anyone unsatisfied with their same-old church routine, Zombie Church challenges readers to turn away from hollow religious practices, which characterize “zombie Christianity,” and turn toward a radical relationship with Jesus. Share this for a chance at $50 to Amazon.com. The church has been through a lot over the years. It seems to me that every generation of the church has its own 'illness' to deal with. If the men and women of faith are willing to put aside their differences and focus on the grace and love of Jesus and how they can live that out in the world in a meaningful relevant way then the church will become a source of life and God's redemptive agents in the world. What we need is that constant refocus on the person of Jesus. Amen! I pray that our focus will once again return to Jesus and His love, His mercy and His grace. What a difference that would make in the church. It's not too late! I enjoyed your book and happy to be on the blog tour. Thanks for stopping by! Thanks Melanie! It is a great book. It has a much needed message... I was happy to be on the tour as well!